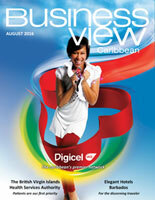 Business View Caribbean profiles RentokilI, a pest control and hygiene services company, located in Kingston, Jamaica. Rentokil Initial Jamaica Limited is a company that is actually made up of two different businesses. 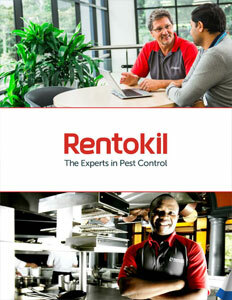 The Rentokil division is part of the global Rentokil Group, a pest control company founded in London in 1925. Today, that company employs over 70,000 people worldwide and has operations in 40 countries. Rentokil came to Jamaica in 1968 and opened a branch in downtown Kingston and, according to its current Managing Director, Maurice Goldson, by the 1980s, Rentokil Jamaica had grown into the country’s premier pest control company. For a time, pest control was the firm’s only business. Meanwhile, Goldson says that Rentokil began to face serious competition from what he calls “single-person spray men,” individuals who purported to be experienced pest control technicians in Jamaica’s unregulated environment, but were really just interlopers who could operate a spray gun. That and various “internal challenges” within the company led it to scale down the pest control aspect of its business, while ramping up a hygiene services division, specializing in sanitact units used for the disposal of feminine hygiene products in commercial building restrooms. In the realm of hygiene, in addition to the soaps, sanitizers, and other washroom products that Rentokil Initial provides its customers, Goldson says that the company is developing what he calls “ambient scent marketing,” which is a way to improve the overall air quality in environments where people work. The concept is based on the notion that emotion is largely generated by our sense of smell and that by creating a specific scent in a business environment, people can be made to feel more comfortable and more eager to do business. “That’s something that we’re definitely hoping to develop further,” he remarks. Regardless of which part of the business its customers rely upon, Goldson maintains that Rentokil Initial is a service-driven company that is always responsive to its customers’ needs. Its pest control technicians are licensed and well-trained and its back-office tracks all incoming queries, promising to get back to a customer who has a problem within twelve or 24 hours. Its 50 employees work out of the main office in Kingston, a branch office in Mandeville, and its Montego Bay depot, which Goldson says he would like to see grow into a full branch, sometime soon. For almost 50 years, Rentokil Jamaica has provided innovative solutions to home and commercial pest problems, and since 1996, Initial has been a leading provider of expert facilities management, and medical and hygiene services to businesses and organizations of all kinds throughout the Caribbean. Together, Rentokil Initial Jamaica Limited is in the business of protecting people and enhancing lives. “We’re driven to make a difference in people’s lives both at home and in the workplace,” Goldson says, summing up. 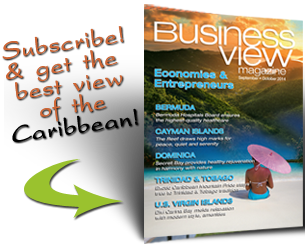 Check out this handpick feature on Relmak Construction in Jamaica.